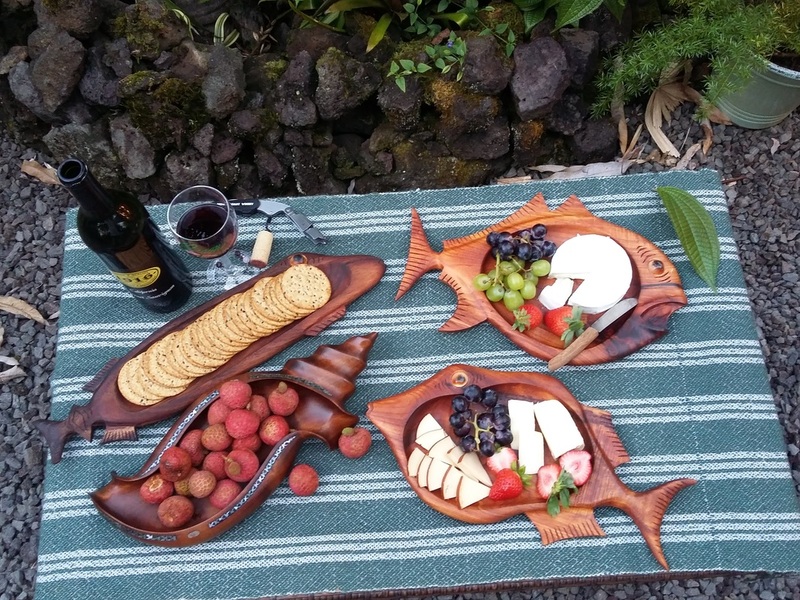 Decoritive Hawaii wood serving bowls and trays - Hawaii Woodcarving by Tevita Kunato. All my bowls and trays are carefully made on request. 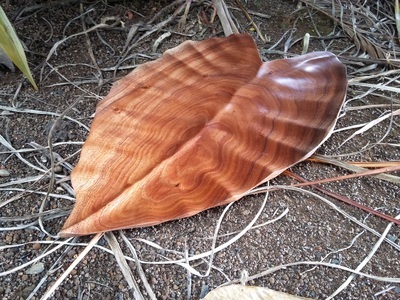 I offer beautiful Big Island Koa. ​To order or inquire about a handcrafted piece, please scroll down to the bottom of this page for contact information. My food safe finished trays are great for your next party! Perfect for serving an awesome cheese plate or for sushi. Matching cheese knives will be available soon. 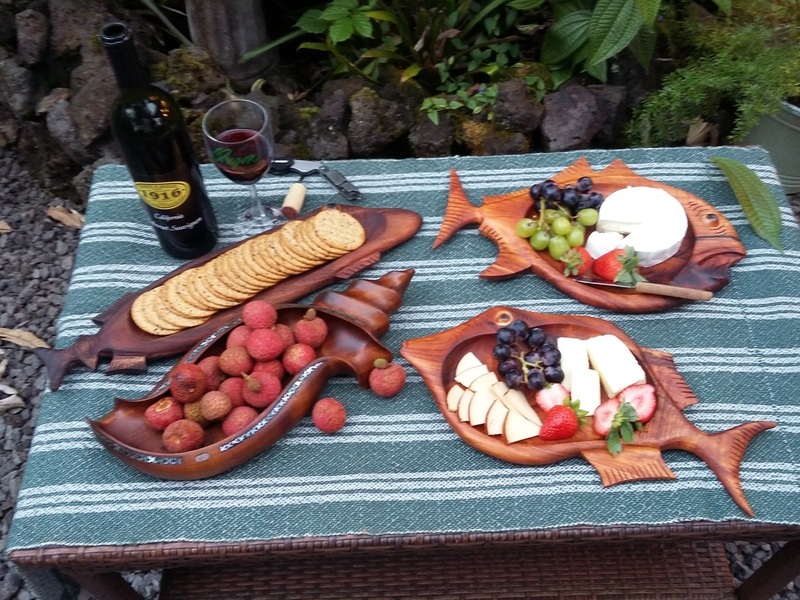 Made with beautiful Big Island Koa wood. Proudly made in Hawai`i. Orders usually take about 3-4 days to fill. Center top picture: Top is my Ulua tray. Below is my Humuhumunukunukuapua`a tray. $550 each. 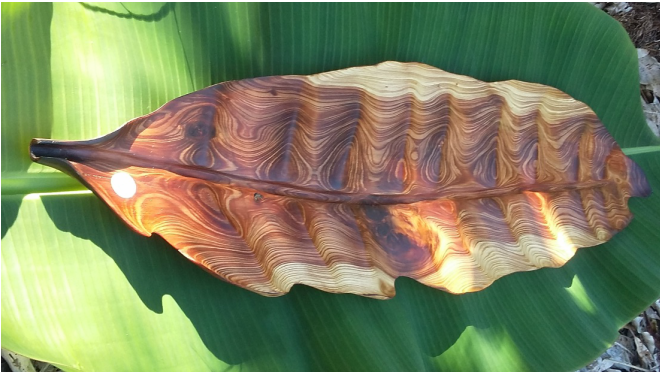 An elegant figured Koa shell bowl with shell inlays. 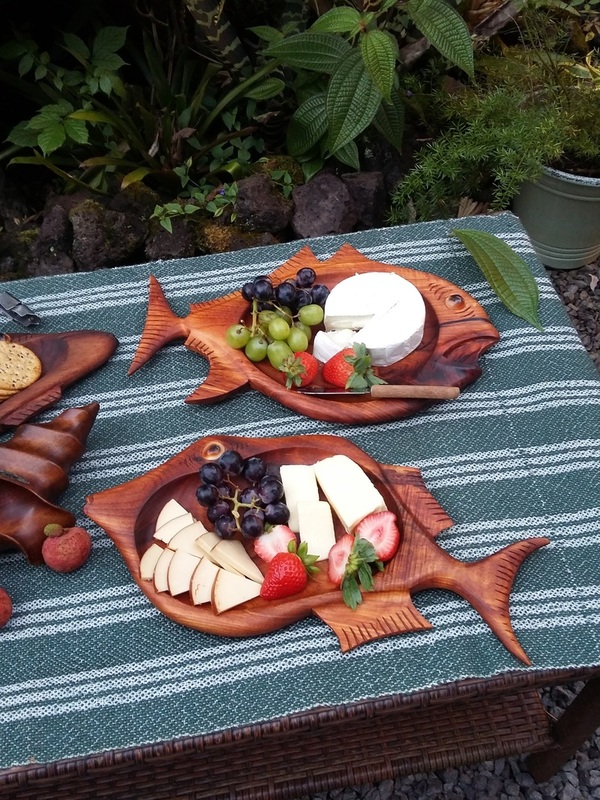 I use a mineral oil and wax finish that is safe for serving food. On request, I can use wax polish for a smoother finish. Please note that wax polish is not safe if you would like to serve food. A very popular request. This design is a little slimmer than the first piece and does not have inlays. ​Mineral oil or wax finish offered. ​Sorry. 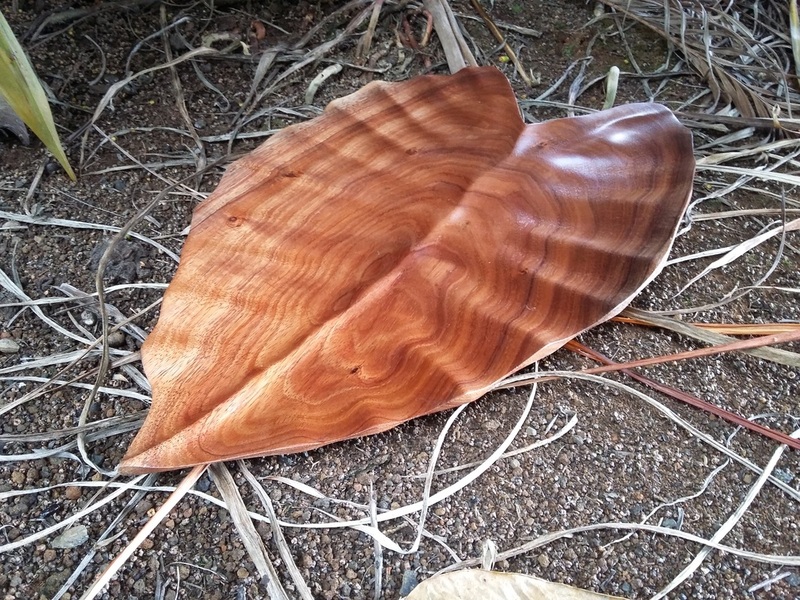 I am out of lacewood, but I can make one for you in either Koa or Monkeypod. Most popular request is the official fish of Hawai`i. The Humuhumunukunukuapua`a. I can make similar designs that reference another kind of fish. I use a food safe finish on all my trays. 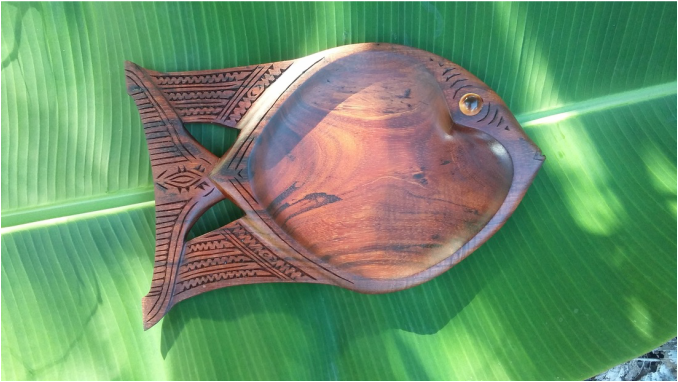 A beautiful Koa fish tray with resin inlays. 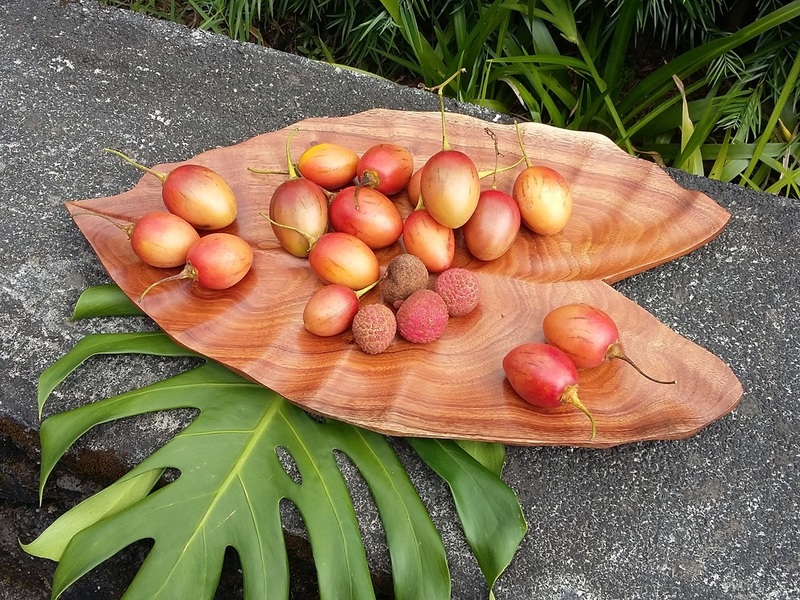 Koa Serving Tray. 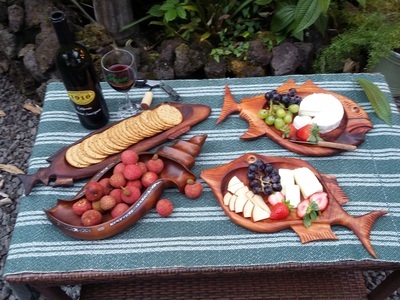 Great for wine and cheese service. Sushi as well. Beautifully carved fish trays offered in Monkeypod wood from the Big Island. Food Safe finish. ​I offer this design in any Hawai`i reef fish shape. Another carved fish tray in Monkeypod. The above fish is the Kala or Unicorn fish. Perfect for sushi serving. 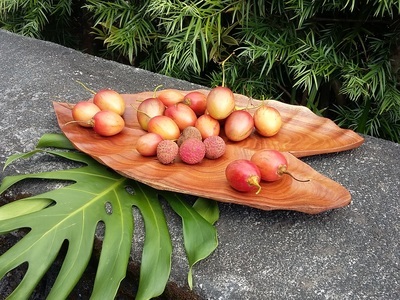 This long and slender tray is offered in Maple, Monkeypod or Koa. 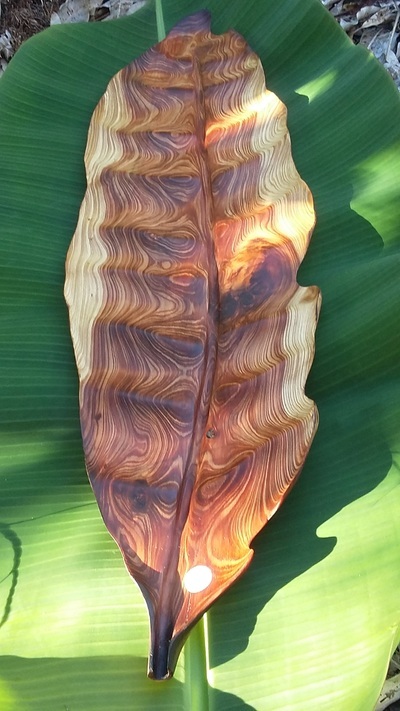 I offer this design in Monkeypod wood. A more familiar design. 4 legs. I offer this design in Monkeypod wood. For you Honu lovers, this is just for you! Originally designed for serving kava, this elegant bowl can be used for food service, punch or just for a wonderful decoration. I offer this design in Monkeypod wood.